Compound fertilizers have a mixture of the three most important major feed elements; nitrogen, phosphorus and potassium. Examples include Growmore and Miracle Gro. Straights are single substance fertilizers such as Sulphate of iron, Sulphate of Ammonia or Epsom Salts. Organic Fertilisers include Fish, Blood & Bone, Bone Meal and seaweed based liquid feeds. Levington's Tomorite is high in potassium and many gardeners use it on all fruit and most vegetable crops. If you're not sure on what fertilizer to use there is always plenty of advice from our staff. Gel The Roundup Touch Weeder. Prevention is better than cure as 1m2 of ground can contain up to 100,000 weed seeds. Perennial weeds such as ground elder, bindweed and brambles are a nightmare to remove in a plot full of plants, so it is far better to get rid of them before you start. The key is to kill or dig out the roots. If you don’t, they’ll simply re-sprout. Organic gardeners use old carpets and black polythene to cover weedy beds for long periods to starve perennial weeds of light and water. Sadly the worst perennial weeds can survive such treatment. Most chemical weedkillers are not longer available to amateur gardeners leaving roundup/glyphosate as the main weapon against perennial weeds. It only works when plants are in active growth, so apply from March/April-October. It is neutralised in the soil soon after it is applied so you can safely sow as soon as the weeds have died back and you have removed them. You can use it amongst existing plants but make sure you keep the spray off plants you want to keep. Cover them to be on the safe side. You may need to spray two or three times to get rid of the deepest rooted and most persistent weeds such as ground elder (Aegopodium podagraria), creeping buttercup (Ranunculus repens) and creeping thistle, which can spread underground. Painting glyphosate gell (Roundup) onto foliage is excellent for brambles and other weeds amongst plants you wish to keep. Mare’s tail (Esquisiteum) can survive almost anything, and is perhaps the hardest weed of all to get rid of. It needs to be smashed and painted several times with neat glyophosate and even then it may bounce back. It can break concrete. Roundup gel is really useful for killing weeds like brambles which are established in a border with plants you want to keep. Just dab the gel on the plants you want to kill. Annual weeds are easy to hoe or pull out but they can come up in their thousands so you have to catch them before they bloom. I am amazed to see allotment holders tolerating abandoned weed-filled plots with weed seeds blowing all over the place. Some of our worst weeds include thistles, bittercress, groundsel and chickweed, all of which flower and seed fast. Don’t let this happen! One you have a clean bed and are sowing and planting, a hoe is invaluable. Best used in dry weather. 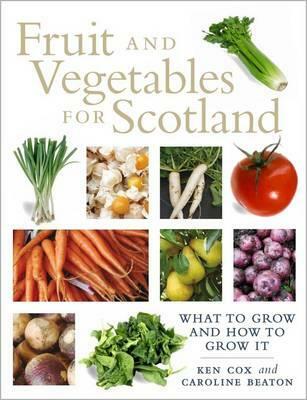 Using it well takes a fair bit of practice - don’t drag too much soil off and don’t slice up your delicate young produce. Mulching and growing green manures (see p. **) are other useful ways of reducing patches of bare earth and therefore keeping weeds to a minimum. EIQ listed below Higher numbers are potentially more harmful to the environment, lower numbers are the safest. Grasses and annual weeds. Can be used between vegetable rows and for cleaning a bed before sowing. You can sow as soon as weeds die back. Protect anything you wish to keep. Rain fast in 15 minutes. Annual weeds, but tend not to kill roots. Household vinegar tends to be too dilute. You need 15-25% acetic acid solution for best results. Annual weeds. Very safe to use. Most years our gardens are affected by pests and disease: warm dry weather brings out aphids in huge numbers while wet weather brings slugs, mildews and moulds. Most plants can suffer from pests and diseases from time to time. Mild attacks can just be ignored. Stress: too much moisture, drought, or starvation can make plants more susceptible to problems. To much fertiliser can produce soft, leafy growth that is more prone to attack for example. For insect pests and pigeons on vegetables, horticultural fleece suspended on a frame or with cloches, is the most effective prevention. Try to ensure that the edges of the fleece are buried in the soil at the sides, but remember to loosen it as plants grow. As chemicals for carrot fly and cabbage rootfly have been banned, this is the only way to keep them off. Control varies from problem to problem, but identifying a problem quickly and dealing with it immediately will prevent the problem getting out of control. Crop rotation, for instance, helps prevent the build-up of soil-borne pests and diseases. Some Slimy Facts: One individual grey field slug can produce 90,000 grandchildren; a cubic metre of garden will contain on average up to 200 slugs; it is estimated that slugs consume twice their own body weight every day; a slug weighing 0.1oz would, over a 20-week growing season, consume an astonishing and expensive 1.75lbs of plants and vegetables each. Metaldehyde – EIQ 11 the liquid form is safest as it cant be eaten by pets or birds. Barrier, such as wood ash, crushed Aluminium sulphate (or), 5 eggshell or sawdust, or traps, such as a dish of beer. Start vegetables early and keep them dry to deter slugs. Minimise hiding places by keeping garden tidy. Deterrent plants are said to be mint, chives,geraniums and fennel. Oat bran for them to eat apparently makes them bloat and die. (or = organic. EIQ rating – the higher the number, the more potentially harmful or dangerous is the substance. With very good reason, Scottish gardeners everywhere bemoan the attentions of rabbit and deer, two out-of-control pests. You can be as sentimental as you like about fluffy bunnies, but they can destroy your vegetable patch. You need to decide which of the two you are more attached to as co-existence is not an option. Fluffy bunny websites tell you that you can keep rabbits off with chilli powder and other home-made remedies. Don’t believe a word of it. One useful rabbit repelling product is a calcium solution marketed as Grazers which you can paint on foliage. The vegetables taste horrible for rabbits, pigeons and deer but apparently humans [img>don’t notice so you can spray right up to harvesting. For long term peace of mind, bite the bullet and agree that rabbits need to be fenced out or killed. Fences need to be part buried in the ground 20-30cm and even then rabbits may dig underneath. For rabbits the fence needs to have a mesh of 2.5cm diameter and a height of 1m-1.2m. Deer are most likely to damage plants in winter, when they are most hungry. Barking of fruit trees can be fatal so individual tree guards are a good precaution. Roe deer can leap a 2m high fence, so it is an expensive business keeping them out. Grey squirrels in urban gardens, rats, mice and voles can also be a serious problem when they discover and eat your growing or stored crops before you do. Mice are particularly fond of eating newly planted seeds such as peas and beans. Netting is essential to protect Brassicas (cabbages, sprouts etc) from pigeons. If you dont protect them you will find them stripped. Covering plants with horticultural fleece (before the pests attack) will prevent some insect pests and birds reaching the plants. It's important to ensure the edges of the fleece are buried in the soil to prevent access and that the fleece is loosely held over the plants so that it can move with them as they grow. This is how many growers produce carrot fly-free carrots and cabbage rootfly-free brassicas. 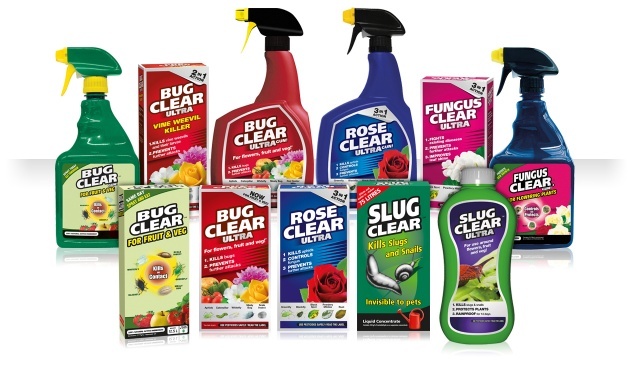 Glendoick are proud to stock a wide range of natural gar dening pest, disease control products for the garden & home. Safer than traditional chemicals but effective, less harmful to people, animals and the environment. 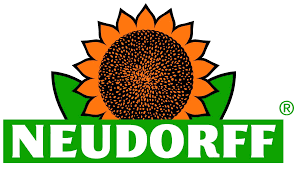 Neudorff are new to the UK and Glendoick are one of the first garden centres to take the full range. Now available in concentrated form: mycorrhiza! The Mycorrhiza fungi increases the root surface by up to 150 times. Sluggo has an naturally occuring active ingredient ’Ferric Phosphate’ which causes cellular changes in the intestinal region of the slug/snail once ingested. After consumption the slug or snail will then bury itself in the ground due to feeling unwell and then die beneath the surface of the soil. 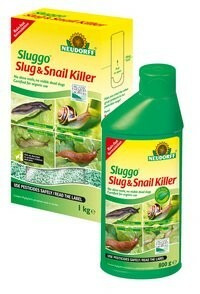 This ensures that there are no dead slugs left on the soil nor any of the unpleasant slime trails that are associated with traditional slug pellets. Sluggo* pellets that are not eaten simply breakdown into iron and phosphate which are both plant nutrients that occur naturally in the soil. Sluggo* pellets are completely safe: children, pets, birds and wildlife may enter the treated area without the risk of poisoning. Neudorff’s Ant Killer Granules are particularly effective whe n applied as a soluble solution so that the active ingredient penetrates right into the nest and destroys the insects which remain inside - thus ensuring the sustainable control of these pests. They take the crops water, nutrients, space and often light. This is where Neudorff’s Superfast & Long Lasting Weedkiller can help. With a unique combination of natural active ingredient it fights weeds with quick and long lasting effects.